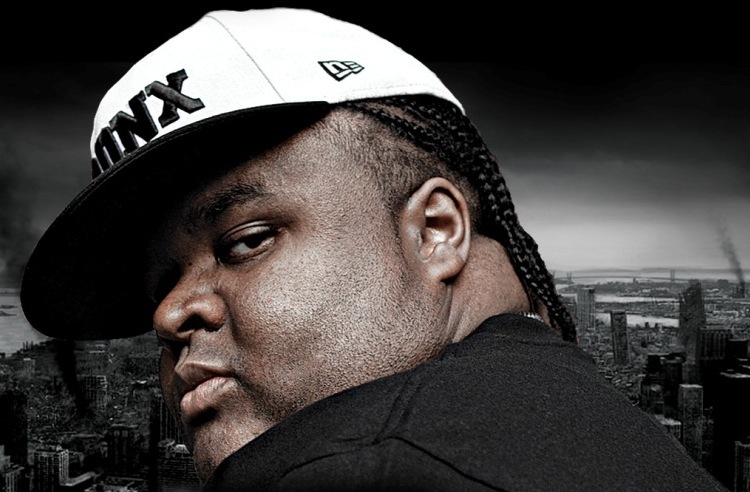 Fred The Godson stopped by The Breakfast Club to talk about his new City of God mixtape. Fred talks about why New York rappers aren’t mainstream successful and what they’re lacking. “It’s an overstauration of rappers in New York,” he says. “Everybody’s trying to beat each other instead of embracing.” He talks about the lack of lyricists in the game, what NY artists’ he would want to tour with, and he addresses theWorld Star video with someone having his chain. He’s been rapping for 9 years before his song was ever played on the radio. He’s never been signed to a label and has never had a day job. Fred talks about being cautious before signing anything. “We don’t like to do anything that might hurt,” he says. “We like to do things that, if at the end of the day, if it goes wrong, it doesn’t hurt.” The mixtape features all original music and is hosted by DJ Drama with appearances by Pusha T, Diddy, Meek Mill, Raekwon, Maino, Vado, among others. These are genuinely great ideas in about blogging. You have touched some good things here. I must say this blog loads a lot quicker then most. Can you recommend a good internet hosting provider at a reasonable price? visitors to pay a visit the website, that’s what this site is providing. Yes! Finally something about duplicate key. useful and it has helped me out loads. I hope to give a contribution & assist other customers like its aided me. from Houston Tx! Just wanted to say keep up the fantastic work! I don’t even know how I ended up right here, but I thought this submit was once good. Useful information. Lucky me I discovered your site by chance, and I’m shocked why this accident didn’t took place earlier! writing to obtain facts about my presentation focus, which i am going to present in college. you for ones time for this fantastic read!! I definitely really liked every bit of it and i also have you saved as a favorite to check out new stuff on your web site. Yahoo’s home page and see how they create article titles to get viewers interested. It’s amazing in favor of me to have a website, which is helpful in support of my experience. Godson Talks ‘City of God’ Mixtape is kinda boring. I realized it’s new to me. Anyways, I’m certainly happy I discovered it and I’ll be book-marking it and checking back regularly! It’s in fact very difficult in this full of activity life to listen news on Television, therefore I simply use internet for that purpose, and take the latest information. site; this webpage includes awesome and actually excellent material designed for visitors. no one else recognise such detailed approximately my difficulty. this webpage carries amazing and really excellent material in favor of readers. Hi, I do think this is a great website. I stumbledupon it ;) I’m going to come back yet again since i have book-marked it. still take care of to stay it smart. I cant wait to read much more from you. I am genuinely grateful to the holder of this web site who has shared this great article at at this place. getting know-how daily by reading such pleasant articles or reviews. Hi there it’s me, I am also visiting this web page on a regular basis, this website is genuinely good and the users are truly sharing nice thoughts. hi!,I really like your writing so much! percentage we keep up a correspondence more about your post on AOL? placing the other person’s webpage link on your page at appropriate place and other person will also do same for you. little bit of it and I have you bookmarked to see new things in your blog. Thanks a bunch for sharing this with all of us you actually understand what you are talking about! consists of remarkable and genuinely good information designed for readers. which includes tons of useful facts, thanks for providing these data. Excellent way of telling, and good paragraph to obtain information regarding my presentation focus, which i am going to deliver in university. not mind. I was interested to know how you center yourself and clear your head prior to writing. Appropriate Answer is. effervesce to a black color. We offer air-conditioning maintenance and restore. Chopping down bushes shouldn’t be as simple task. This submit actually made my day. You can not imagine just how a lot time I had spent for this info! is time to be happy. I have learn this post and if I may I desire to counsel you few interesting issues or advice. pleasant, every one be able to without difficulty be aware of it, Thanks a lot. You are so awesome! I don’t believe I’ve read through anything like that before. © 2018 SelectQuote Insurance coverage Companies. Name knowledgeable tree service immediately. How one can choose an air duct cleaning company?